Hennepin County is a great place to work! Browse open positions or sign up to receive job notification emails from the county. For past issues of my monthly newsletter, visit my webpage. District 2 serves the cities of Golden Valley, Medicine Lake, north and northeast Minneapolis, southeast Plymouth and St. Anthony. Be sure to check out all the great upcoming events this month, and think about subscribing to other interesting topics offered by Hennepin County. The Blue Line Extension (Bottineau) LRT Project achieved another milestone with the Federal Transit Administration (FTA) approving the project’s entry into engineering in January. This action means the federal government has authorized project staff to finalize designs in preparation for the start of heavy construction in 2018. 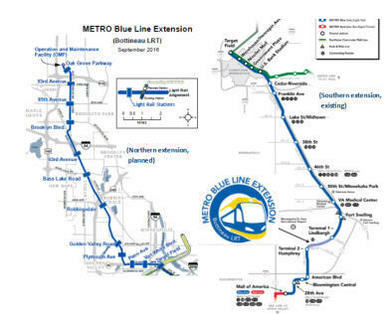 The Blue Line Extension will connect Brooklyn Park all the way to Target Field, the Hennepin County Medical Center, the VA Medical Center, the Mall of America and the two terminals of the Minneapolis-St. Paul International Airport. It also provides a connection to the Green Line going to downtown St. Paul and some day to Eden Prairie. For more information, visit metrocouncil.org. Many dignitaries joined together to break ground for Thor's new building in North Minneapolis. A great day! On January 17, Thor Construction held a ceremonial ground-breaking of what will be a several-building project designed to revitalize the intersection of Plymouth and Penn Avenues North. 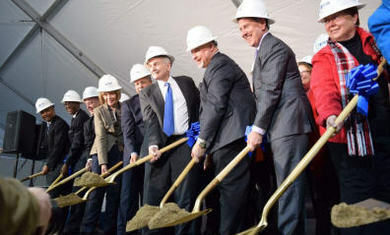 The groundbreaking was held by Ravi Nelson and Richard Copeland of Thor Construction and included Governor Mark Dayton, Lt. Governor Tina Smith, State Senator Bobby Joe Champion, Target Corporation CEO Brian Cornell, Hennepin County Commissioner Linda Higgins, Minneapolis City Council Member Barb Johnson, Minnesota Human Rights Commissioner Kevin Lindsey, Minnesota Diversity Director James Burroughs, Minneapolis Urban League president and CEO Steve Belton, and many other notable guests. The revitalization is part of a multi-organizational effort to bring jobs, a workforce center, commerce and retail opportunities to the Northside. In addition to the Thor Development and Estes Funeral Home's new home across the street from the current facility, NorthPoint Health and Wellness Center will expand. The campus will expand by 74,000 sf. Services will continue during construction. Read the North News article here (Facebook). 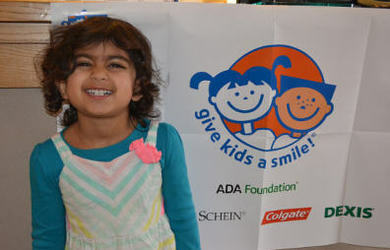 Each year, dental professionals from across the state participate in Give Kids a Smile, providing free dental care to children in need. The event takes place on Friday, February 3, and Saturday, February 4, 2017, and is made possible by the collaborative effort of the Minnesota Dental Association, volunteer dentists, and sponsors. To find clinic information to make a reservation, visit mndental.org/events/give-kids-a-smile. Hennepin County District 2 participating clinics include Bassett Creek Dental; Bay Creek Dental; Boger Dental; Children’s Dental Services; Larson Dental, LLC; and NorthPoint Health and Wellness. The Minneapolis Park and Recreation Board (MPRB) is seeking applications from the public to serve on the Community Advisory Committee (CAC) for the North Service Area Master Plan (NSAMP). NSAMP is a unique opportunity to set the vision for Northside parks for the coming decades. The project will take a complete look at all outdoor park facilities, create improvement plans for each neighborhood park, and guide decisions on capital improvements. Sign up to receive email updates by subscribing at minneapolisparks.org/subscribe. If you are already a subscriber, add “North Service Area Master Plan” to your subscription preferences (under Planning Projects). Attend CAC meetings; each meeting will offer a brief public comment period at the end of the meeting. Sign up for email updates to stay informed of upcoming dates. 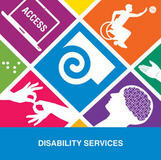 Hennepin’s services help people with disabilities live in their communities as independently as possible. Starting with disability screenings and information sessions on community resources and county, state and federal programs, Hennepin County can then help with short term service planning and ongoing case management. The Community Informational Sessions for Seniors and People with Disabilities booklet has been updated with new dates, times and locations. These sessions are free and open to the public. Hennepin County has $2.2 million available in grants and loans for transit-oriented development (TOD) projects. This funding opportunity is meant to support projects that encourage the growth of walkable communities with a mix of uses and densities and that support transit infrastructure. The Penn Avenue corridor, with high-frequency bus service and the planned C-Line Bus Rapid Transit route, offers lots of development opportunities that fit well with the county's TOD program goals. This year, TOD development projects located within one block of Penn Avenue between I-394 and 49th Avenue North may be eligible for additional funding considerations through the Penn Avenue Community Works program. Potential development project applicants for Penn Avenue is encouraged to contact Kelsey Dawson-Walton with Penn Avenue Community Works to learn more about this and other potential funding opportunities for Penn Avenue projects. Proposals are due February 9, 2017. Contact: Kelsey Dawson-Walton, kelsey.dawsonwalton@hennepin.us, 612-348-4304. 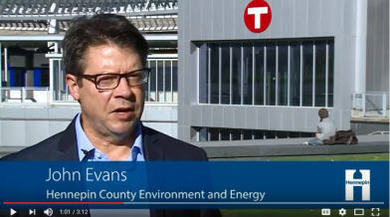 Additional resource: KSTP did a recent story about TOD. See a short video here. The Plymouth Police Department has recently launched SkimStop, a program that helps prevent theft of credit card information at gasoline station pumps, also known as skimming. Skimming involves placing small devices at gas station pumps to capture data each time a credit card is swiped. After retrieving the names and card numbers from the pumps, perpetrators commonly sell the data or use re-encoder devices to create new fraudulent cards using the victims’ credit card numbers. “With SkimStop, residents and businesspeople can feel confident that their credit card information is safe at participating Plymouth gas stations,” said Community Relations Officer Jim Long. For further information with a list and map of participating locations, see the city’s website, plymouthmn.gov/skimstop. Visitors to Hennepin County Library in St. Anthony Village will find a larger meeting room and new interactive learning space in the children’s area, as well as refreshed carpeting, furniture and shelving. The library, located at 2941 Pentagon Drive N.E., will hold a reopening celebration Saturday, February 11, from 11 a.m. to noon after a 14-week, $850,000 renovation. All are welcome. 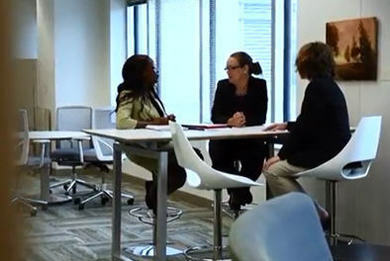 Other improvements include comfortable new seating areas with natural light and accessible power outlets, and computer stations are arranged to support individual and collaborative work. Ceiling and interior walls were reconstructed to open up the space. New automated materials handling equipment and a new work room reconfiguration will improve behind-the-scenes efficiencies. See photos of the project in progress. Library hours remain the same: noon to 8 p.m. on Monday and Tuesday; 9 a.m. to 5 p.m. Wednesday-Saturday; closed Sunday. St. Anthony Library has been providing service to St. Anthony and northeast Minneapolis residents since 1963, when it opened in a storefront in the east end of the St. Anthony Shopping Center. The library continues to operate out of the shopping center, moving to its present location in 2002. Learn more about Hennepin County Library – St. Anthony. Learn more about the St. Anthony Library Friends volunteer group. See our Events, below, for a February 4 St. Anthony Library book sale! Minneapolis’ youth employment program, STEP-UP, is now accepting applications for 2017 summer interns. Eligible Minneapolis youths ages 14-21 who are interested in participating in the 2017 STEP-UP class have until February 10, 2017, to complete an application online. In addition to summer jobs with more than 230 top Twin Cities companies, non-profits and public agencies, STEP-UP also offers work readiness training, advanced-level internships and industry-specific career opportunities that help interns bring together their career exposure with post-secondary education and career planning. Hennepin County an employer with Step-Up. To learn more, visit minneapolismn.gov/cped/metp/step-up_home. 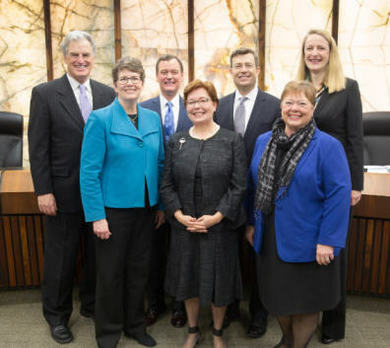 Four Hennepin County Commissioners took office and the Hennepin County Board reappointed Jan Callison, District 6, to serve as its chair for 2017. Mike Opat, District 1; Jan Callison, District 6; and Jeff Johnson, District 7, who were all re-elected this term, were sworn into office before the board meeting. Debbie Goettel, former mayor of Richfield, also was sworn in as District 5 commissioner. With the addition of Goettel, the board will have a female majority for the first time. Callison will lead the seven-member board. Callison, who has served on the board since 2009, has been chair since 2015. In addition, the board reappointed Commissioner Linda Higgins, District 2, to serve as vice chair of the board. Higgins, who has served on the board since 2012, has served as vice chair since 2015. Acting as the Hennepin County Regional Railroad Authority (HCRRA), the board re-elected Commissioner Peter McLaughlin, District 4, as chair and Commissioner Jan Callison, District 6, as vice chair of the HCRRA. Acting as the Hennepin County Housing and Redevelopment Authority (HRA), the board re-elected Commissioner Linda Higgins, District 2, as chair and elected Commissioners Debbie Goettel, District 5 and Marion Greene, District 3, as vice chair and secretary of the HRA respectively (January 10). The county board normally meets at 1:30 p.m. Tuesdays at the Hennepin County Government Center. Find a complete schedule, meeting minutes and agendas at hennepin.us/boardmeetings. The board approved funding for improvements related to the Southwest Light Rail Transit project, including $2.2 million for installation of fiber optic infrastructure along the entire transit corridor. Laying the fiber optic infrastructure will lower county operating costs and support Hennepin County’s growing need for a high-speed, reliable broadband network. 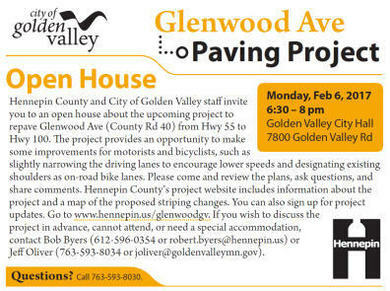 Hennepin County will also provide $1.7 million to construct a trail and $400,000 to reconstruct traffic control systems at two intersections along Flying Cloud Drive (County Road 61) in Eden Prairie. Read more about the improvements planned for the light rail corridor. Read more about the Southwest Light Rail Transit project. The board awarded $1.3 million for nine projects to assess and clean up contaminated sites where added environmental costs hinder site improvements or redevelopment. The Environmental Response Fund grants will fund asbestos and lead paint removal, contaminated groundwater monitoring and contaminated soil clean up. Read more about the Environmental Response Fund program and grantees. The board awarded $147,600 of Green Partners Environmental Education grants for projects than engage and empower residents to protect and improve the environment. Groups will engage 2,700 residents to protect the environment by reducing waste, recycling, composting organics, conserving energy, improving air and water quality and protecting pollinators. Read more about the grants and award recipients. The board approved a total of $284,015 in grant funding for projects to protect natural resources and water quality throughout the county. The county also awarded $59,015 for six Good Steward grants for smaller projects. Read more about Hennepin County’s natural resources grants and grantees. Tuesdays through February 14 – 10:30 a.m.
Family Story Time. Children of all ages can talk, sing, read, write and play together in a format appropriate for young children. Northeast Library, 2200 Central Ave. NE. Family Story Time.com. Thursday, February 16, 11:30 a.m.
Senior Appreciation Valentine Luncheon. Cost $4. Community members 55 and above.1700 Second St., N.E. Appreciation Luncheon. “The Value of Community and Choice as We Grow Older.” Dr. Atul Gawande will be livestreamed from Boston. Reception to follow. St. Anthony Main Theatre, 11 S.E. Main St. Free. northloop.org. Minnesota Opera presents The Nightingale, based on the famous Hans Christian Andersen fairy tale. The Project Opera with performers ages 8 to 18 and a student orchestra. The story of a Chinese emperor who prefers the tinkling of a bejeweled mechanical bird to the song of a real nightingale. 700 N. First St. Tickets, Adult $15, children www.thelabtheater.org. Saturday, February 18, 10 a.m.-2 p.m.
Camp Capri. Arts camp for students in grades 5-8. A screening of the movie Selma, with discussion to follow. Capri Theater, 2027 W. Broadway. Free, lunch included. Register at thecapritheater.org. Capri Arts Camp. Sunday, February 12, 10 a.m.-3 p.m.
West Metro Home Remodeling Fair. The goal is to provide residents with ideas, information, and resources to promote improvements to the housing stock in each community. Eisenhower Community Center, 1001 Hwy 7, Hopkins Free. Remodeling.Fair. Thursday, February 23, 7:30-8:30 a.m.
State of the City Community Update. All are invited to attend. Golden Valley City Hall, 7800 Golden Valley Rd. Community Update. February 2, 9, 16, 23, 6:00-8:00 p.m.
Family Gym Night at the Bryn Mawr Elementary gym. 225 Upton Ave. S. bmna.org. Thursday, February 9, 6:30-7:30 p.m.
Plymouth Lions Dinner Meeting, Social 6:30; Dinner 7:00. Speaker: Homeward Bound, Lori Merriam and Kristine Morin: Medicine Lake City Hall, 10609 South Shore Drive. plymouthlions.org. St. Anthony Library Used Book Sale. 2941 Pentagon Drive N.E. St.Anthony Used Books Sale. Wednesday, February 15, 7:30 a.m.
St. Anthony Chamber of Commerce Coffee Club. Business networking and event information. 2852 Johnson St. saint-anthony.coffee club. Thursday, February 2, 2017, 6:30-8p.m. Black History Month: Movie Night. A movie will be offered every Thursday in the month of February to honor Black History Month. Central Gym. 3400 Fourth Ave. S. Black History Movies. February 4-5, 10 a.m.-5 p.m.
Health Life Expo, Minneapolis Convention Center. 200 local and national exhibitors showcasing health and wellness. Minneapolis Convention Center, 1301 2nd HealthLifeExpo.com. Monday, February 6, 9 a.m.-2 p.m.
Job Development Career Fair, featuring over 25 employers. Sabathani Community Center, 310 E. 38th St., Minneapolis. Career Fair. Saturday, February 11, 9:30 a.m.
Twin Cities Snow Shoe Shuffle. Participants from around the country participate in this fun and challenging winter race. Proceeds will go towards scholarships for urban youth to attend Camp Bovey. Sponsored by Eastside Neighborhood Services. Long Lake Regional Park, New Brighton. esns.org.